Trying to locate an after-hours dentist office when you experience a dental emergency can be challenging if you are not familiar with the dentists in Seattle that offer emergency dental services. Emergency Dentists USA has compiled a convenient, hassle-free listing of the available emergency and after hours dentists in Seattle. When a dental emergency occurs, you want to be able to get relief as quickly as possible, and calling our 100% free service can help! We are open 24 hours a day, 7 days a week and our operators are trained to find a local emergency dentist that fits your needs quickly and they can even help set up an appointment for you if necessary. I had an injury to my gums and was in so much pain. Nothing over the counter worked! I called Emergency Dentists USA to see if they could find a dentist open near me that could get me some type of pain reliever until I was able to get to my regular dentist. They were amazing and found a number for an emergency dentist close to me. I was able to get medication right away to relieve the pain. Seattle features a wide variety of emergency dental services available when you need them the most. They have many clinics that are open extended hours and also some that offer walkins and same-day treatment. A great example of an after-hours clinic is Emergency Dental Care USA – Seattle because they offer evening hours 7 days a week. From our list below, Advanced Dental Care and All Smiles Family Dentistry offer walk-ins. If you are suffering from a dental emergency that cannot wait, these two clinics are your best bet because they understand emergencies happen and accept walkins and have same-day appointments available. From our research, there weren’t any dentists open 24 hours a day in the Seattle area, however, Emergency Dental Care USA – Seattle is your best choice since they are open until 9 PM every weeknight and until 7 and 8 PM on weekends. We’ve completed hours of research and have come up with a list of available dentists who offer after hours services and emergency treatment, to help ease some of the burden on you when you are facing an emergency situation. Below you will find a list of available emergency services located throughout Seattle. Description As a Seattle Emergency Dentist referral service, our operators are standing by to help you find a dentist as quickly as possible. Get help finding an emergency dentist whether or not you have dental insurance coverage. 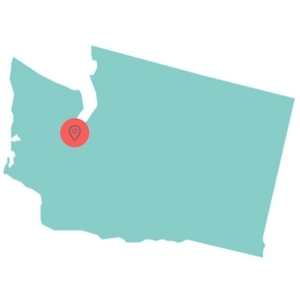 Easily find Washington emergency dentists with our service. Description: Emergency Dental Care USA of Seattle has emergency dentists available for convenient weekend dental appointments. 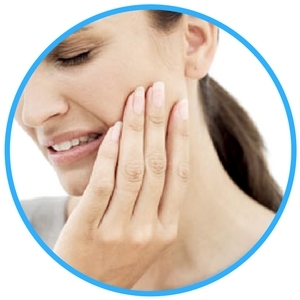 If you have a cavity, lost a filling, chipped a tooth, or you just need urgent relief for a toothache, they’ll get you in the office and out of pain as quickly as possible. Open 7 days a week, this is the best choice for an after hours or emergency dentist. Description: Advanced Dental Care is a 24-hour emergency dental clinic that provides all dental emergency services in Seattle and the surrounding areas. They accept walkins and have same day appointments available. Description: All Smiles Family Dentistry understands that emergencies happen and for that reason they welcome walkins and same-day treatment. They offer a wide range of options to provide you with same-day pain relief when an emergency situation occurs. Description: Family Dental practice understands emergency situations arise and they will do everything they can to make sure you’re treated as soon as possible. Although they aren’t open extended hours everyday, they ask that you call in an emergency situation and they will try to fit you in as soon as they can. When you arrive to your emergency dental visit in Seattle, WA, remember it’s just like a normal dental visit. The biggest difference between your typical visit and an emergency dental visit is they are more equipped to handle your treatment in a swift and timely manner. They are prepared to provide immediate extractions on site that day, if necessary. Just like any new patient visit, your emergency dentist appointment will require the proper paperwork to be filled out before you can be seen, therefore you should try to arrive 15 minutes early to your appointment, if at all possible. Also try to bring any important information with you such as your dental records and insurance cards, as well as a form of payment they accept for any copays or on the off chance your insurance is not accepted. Another important step to take when at your appointment is to let the staff know of any known allergies that you may have, in case you need to be prescribed medication for your dental emergency. 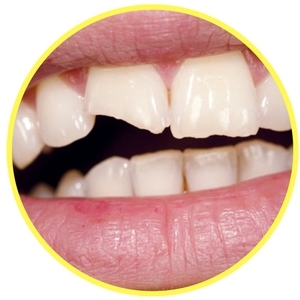 Some of the most common dental emergencies include a chipped or broken tooth, broken braces or wires, toothache, knocked out teeth, abscesses, and soft tissue injuries. Below you’ll find information on some of these emergencies, and at home treatments that can help alleviate the pain. A toothache may be due to an underlying dental condition and that’s why handling it in a timely manner is very important. To help alleviate pain as a temporary solution until you are able to see an emergency dentist, you can try a few home remedies. Try rinsing your mouth out with warm water and use dental floss to remove any food that has become lodged in your teeth. Also, if you notice that your mouth is swollen, you can place a cold compress on the outside to help reduce pain and swelling. A broken or damaged wire can pierce into your gums or mouth, causing pain and swelling. This is why it’s important to get them fixed as soon as possible to prevent further issues such as an infection in your mouth. A temporary solution is to use a pencil eraser and push the metal piece to a better location in your mouth, until you can get in to an emergency dentist. If you notice you have chipped or broken your tooth, you will want to gather up as many pieces of it as possible and rinse them completely. 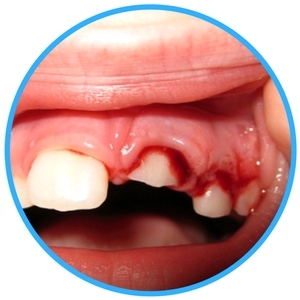 If you are experiencing any blood to the site, place a piece of gauze on the location to get the bleeding to stop. Putting a cold compress on the outside of your face near the broken or chipped tooth can also help relieve pain and swelling. Be sure to see an emergency dentist as soon as possible for the proper treatment. Getting your tooth knocked out can be a painful and overwhelming experience. Be sure to hold the tooth by the crown only and rinse it off if it’s dirty. Do not scrub any debris away as this can just scratch the tooth’s surface. Try to place the tooth back in place in your mouth to help keep it moist until you get to the dentist. If you are not able to put it back in place, place it in a container with milk and cover it until you can get to an emergency dentist. A tooth extraction is a type of dental procedure that involves a tooth being removed from its location in the jawbone. There are a few different reasons why a tooth extraction is necessary such as an impacted tooth, decayed teeth, and overcrowding. If your dentist has suggested that you should have a tooth extraction, it’s important to act fast. Leaving the tooth in can only cause additional problems down the line. Some people undergo a tooth extraction with only some numbing cream while others choose to use a sedative like nitrous oxide to help get them through the procedure. You will also want to make sure there is someone with you that can drive you home when your procedure is done. It’s normal to experience some pain and swelling after the procedure has been completed. Using an ice pack or cold compress on the affected region can help to reduce swelling. Follow this up with a warm compress to help with any pain or added soreness. The healing process will start to take place in the first few weeks, but it can take anywhere from upwards of 6 months to completely heal. Trying to figure out if you should go to an emergency room when you are experiencing a dental emergency can be confusing. Most people assume the emergency room is the only place open and available to treat them, but this is not true. There are many emergency and after hours dental clinics in the Seattle area. However, there are still occasions that an emergency room may be the best choice. ER’s are equipped to handle dislocations, fractures, severe dental abscesses, and even some soft tissue injuries. If you suffer from a chronic illness or an immune system condition, going to an emergency room may be the best option to help with all medical conditions. For other more minor dental emergencies, an emergency dentist is a better choice. Emergency rooms are usually more expensive and they may not be able to treat you when you come in with a chipped tooth or damaged brace wires. If the emergency is only to your teeth/gums area, it’s best to visit an emergency dentist instead of the emergency room. Dentists are specialist who know the most about the anatomy of the mouth and teeth, and can help better assist you with your current and even follow up and long-term care, to ensure you get the best type of treatment possible. If you are facing an emergency dental situation, please contact our free referral service, Emergency Dentists USA, right away. We can help you get in to a local dentist immediately! We are open 24 hours a day, 7 days a week to assist in any dental emergency. When you are looking at a new dental clinic, make sure to check on the potential dentist you are thinking of visiting. You can check online to verify their licensing and credentials are up to date. Checking with your local Seattle Dental society can definitely be a good starting point.